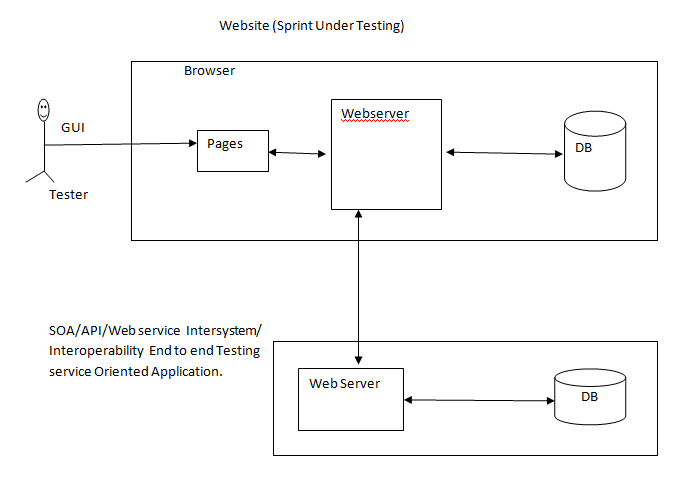 In general, sprint testing or software testing can start with functional testing. During this test, testers in scrum team (ST) can conduct 8 sub tests on that sprint or software. Functional testing can start with GUI testing. GUI stands for Graphical User Interface. During this test, testers in scrum team(ST) can observe the behavior of each element or object in every screen of that sprint or software. 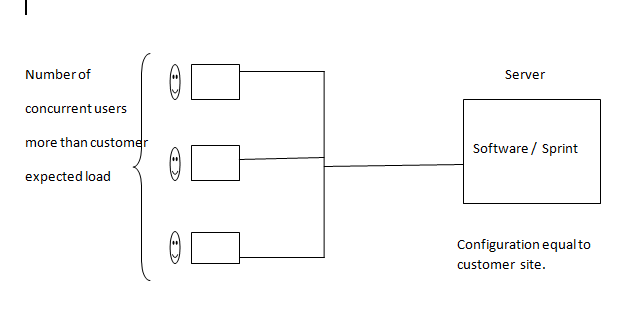 This testing is also called a behavioral testing or control flow testing. During this test, testers can check size and type of each I/P Field/Element in screens of Sprint or Software. During this test, testers can operate sprint or software screens by giving invalid data and observe error messages given by sprint or software. During this test, testers can operate sprint or software screens by giving valid data and observe O/P or Outcome given by sprint or software. Note: The above four functional tests are also called as “Front-end Testing”. During this test, testers in scrum team (ST) can operate sprint or software screens and observe back-end database in terms of data validity and data integration. Tester can operate screen by giving data. 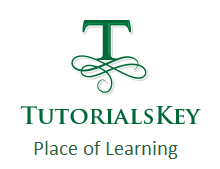 Tester can observe the correctness of new data insertion in database table, called as data validation. Tester can observe the correctness of existing data modification in database called as data integrity. The observation of data validation and data integrity is called database testing. This testing is also called as capacity testing or memory testing. 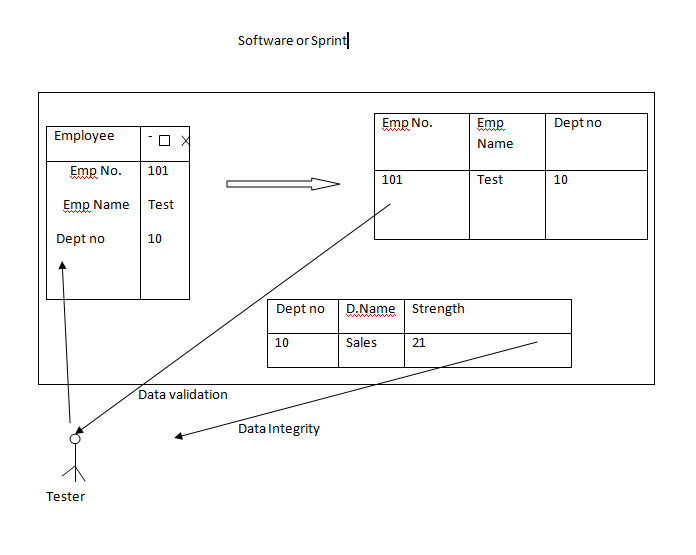 During this test, testers in scrum team(ST) can calculate capacity of database in sprint or software. Note: The above two testing topics are called as back-end testing. This testing is also called as reliability testing. During this test, testers in scrum team (ST) can create abnormal conditions to sprint or software and then observe that sprint is changing from abnormal state to normal state or not. API stands for Application Programming Interface. SOA stands for Service Oriented Application. During API / SOA testing, Testers in Scrum Team (ST) can concentrate on data transfer in between our sprint and other software’s. After completion of functional testing testers in scrum team (ST) can concentrate on non functional testing to test corresponding sprint or software w.r.t customer expectations. This non functional testing is also called as Expectation Testing or Characteristics testing or System Testing. Functional testing is possible to conduct on incomplete sprint or software but non functional testing is possible to conduct on complete sprint or software without any Driver or Stub. Due to this reason non functional testing is called as system testing. Non-functional testing is divided into 8 sub topics. This testing is also called as accessibility testing. During this test, testers in ST can concentrate on user friendliness of software. This testing is also called as portability testing. 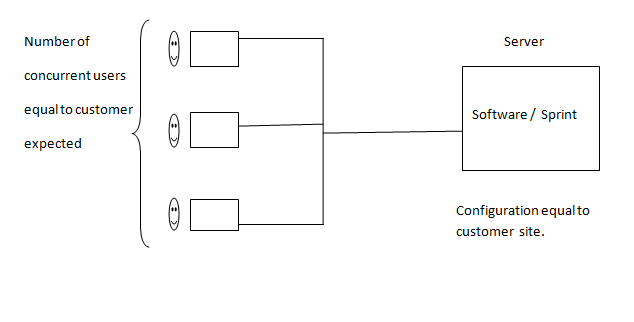 During this test, testers in ST can operate sprint in various customer expected platforms. 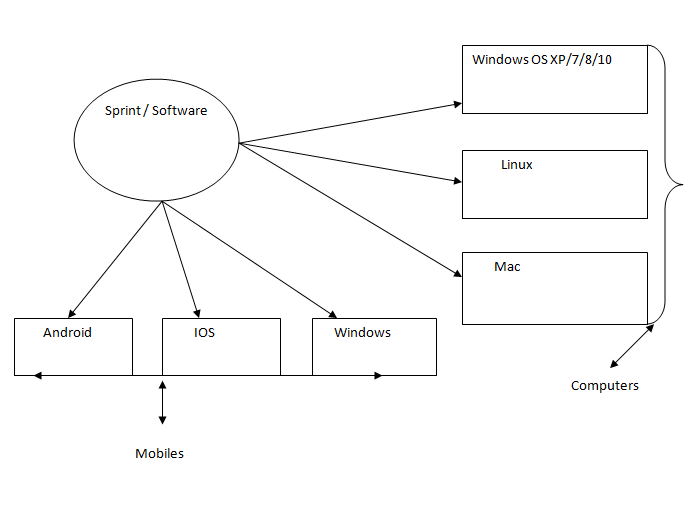 Here platform means operating system, browser, and other system software’s. During this test, testers in scrum team (ST) can concentrate on software or sprint coexistence with different capacity hardware devices. Different type of printers, different type of networks, different type of storage’s etc.. Performance means speed in processing. During this test, testers in scrum team (ST) can concentrate on below sub tests. 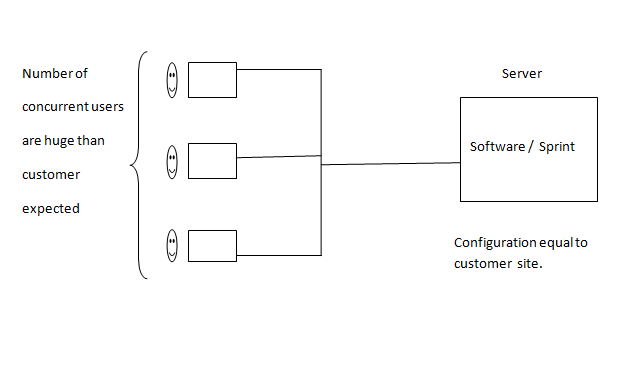 1) The execution of sprint or software in customer expected environment and customer expected load (number of concurrent users). 2) To identify speeding process call as load testing. 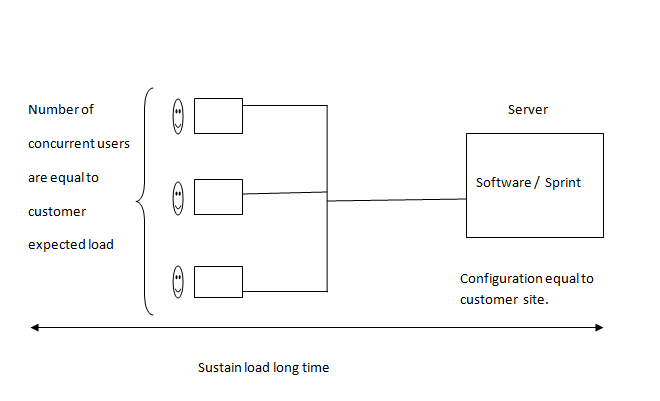 3) The execution of sprint or software in customer expected environment and more than customer expected load to identify peak load, called as stress testing. 4) The execution of sprint or software in customer expected environment and huge load to identify server crashing point called as Spike testing. 5) The execution of sprint or software in customer expected environment and customer expected load continuously or long time to identify memory leakages called as Endurance Testing or Durability testing or Soak testing. Localization means test an Unicode software by giving inputs in corresponding local language without using any translator. Globalization means test an Unicode software by giving inputs in corresponding local language with the help of translator software. This testing is also called as Penetration testing. During this test, testers in ST can conduct below three sub tests. 1) Authorization or Authentication testing means whether our sprint or software is allowing valid users and preventing invalid users or not ? 2) Access control testing means whether our sprint or software is allowing valid users with permission or not ? 3) Encryption / Decryption testing means whether our sprint or software, encryption / decryption process is strong or not ? When our sprint or software is product based, we need to conduct parallel testing by comparing our software or sprint with other competitive software in the market to know weakness and strengths. During this test, PO and SM can estimate efficiency of testers during testing w.r.t company standards. In above 8 non-functional tests, last 4 tests are optional for testers because all software’s are not developed in Unicode, hacking knowledge needed o testers, all software’s are not products and compliance testing is a management activity. In this article we have seen Manual Testing Functional and Non-Functional Testing. In the next article we will see Acceptance testing.